Certainly, by now you have all heard that we had a very special guest on Monday of last week. 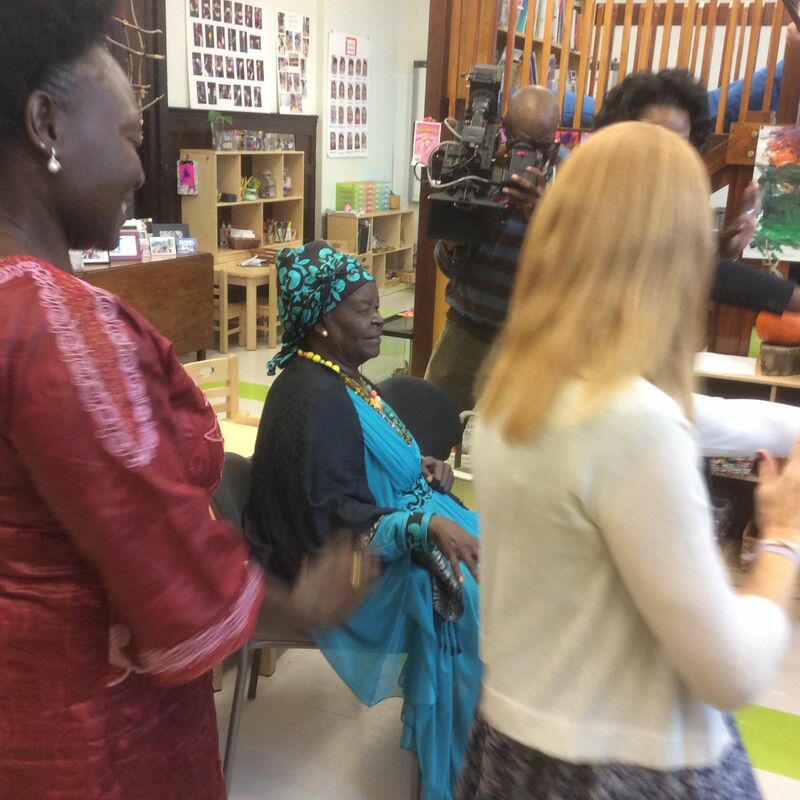 Mama Sarah Obama, President Barack Obama’s Grandmother from Kenya, joined us for about an hour in the morning. 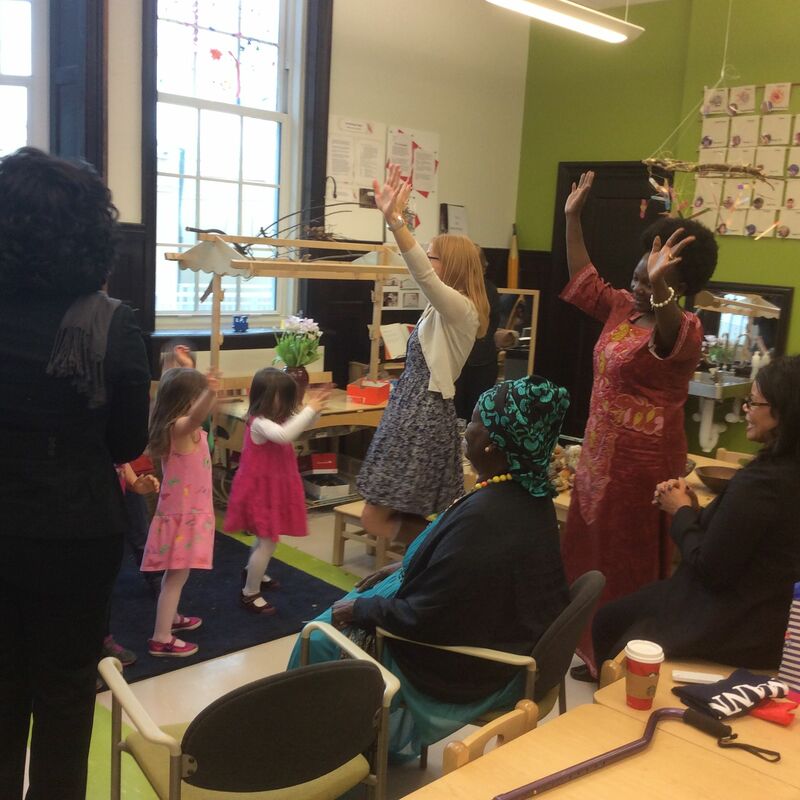 We found out that this might happen about 2 weeks before, so immediately the children began to plan how they might welcome such an important guest. 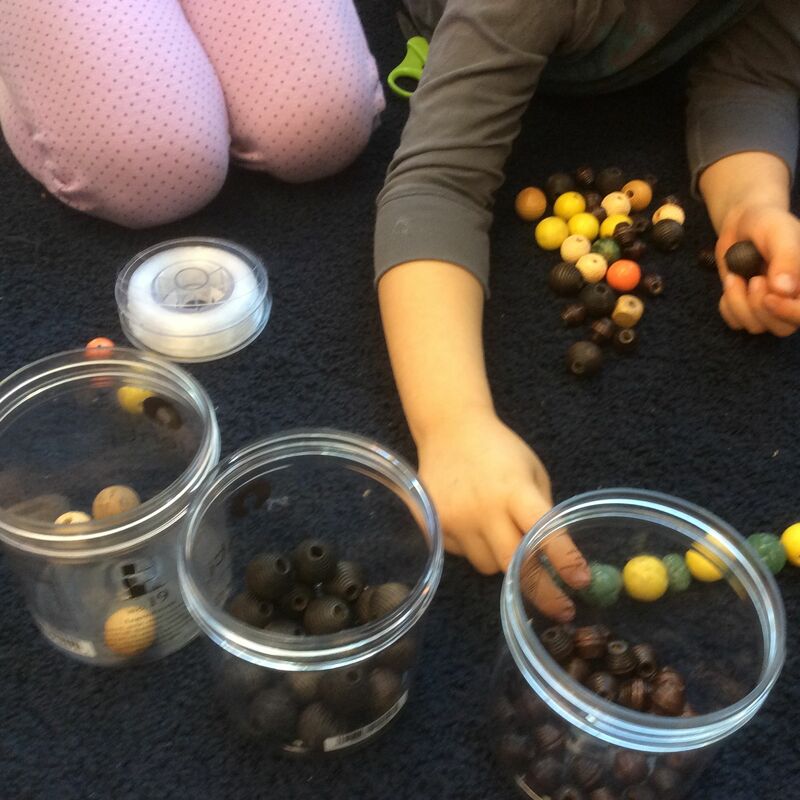 In the photos above you can see some of the children sorting beads. You can also see part of the finished gift – a bracelet. The children also made a necklace to match. 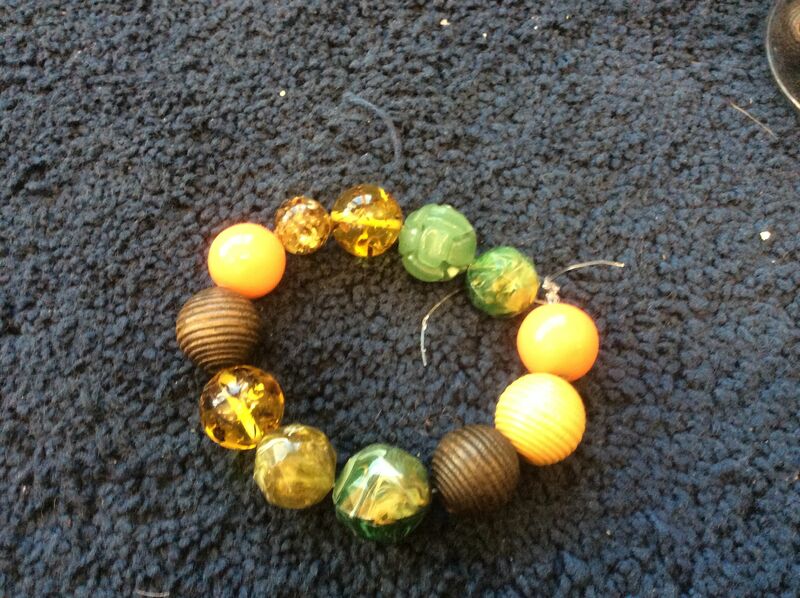 These beads are recycled beads from costume jewelry. Hint: We’d welcome any beautiful beads from costume jewelry that you might not wear anymore. In the above two photos you can see Mama Sarah enjoying the song and dance of “We Are Family, We’ve Got Mama Sarah Here with Us”.